You can become very sick from eating seal meat if the seal has an infection that can be spread to humans and the meat has not been well-cooked. Called zoonotic diseases, these sorts of infections cause much sickness and suffering in developing countries, but are practically unknown in Canada. That is because strict precautions are taken in the care of livestock and in food processing. Canadians are more likely to catch a zoonotic illness from a wild animal than from their food. Seals in Atlantic Canada have recently been found to be carrying dangerous zoonotic microbes, but Canadian seal processors have not been ordered to use standard slaughterhouse precautions against spreading these "meat" diseases to human consumers. Bypassing stringent "meat hygiene" rules, raw seal meat is currently exported from Canada to Asian markets, as are raw seal oil capsules, which are also being sold in Canada. Clearly, consumers of these seal products risk catching zoonotic diseases. Why is this allowed? It seems it is because Canada pretends that seals are fish. Canadian seal products are approved for sale if they meet simpler food safety rules written for cold-blooded fish. Marine mammals actually are classified as "fish" under Canadian law. However, making seals fish on paper does not change the laws of nature, which gave seals, humans and other mammals a common susceptibility to a host of dangerous infections. What infections? Brucellosis, for one. Brucellosis is a serious bacterial infection that causes abortion in animals and chronic illness in humans, but a disease virtually unknown in Canada because our farm livestock is officially brucellosis-free. But brucellosis has been found in our seals. Our farm animals are also free of trichinosis, a painful disease caused by worms that work their way from the gut into the muscles of people who eat undercooked infected meat. Pigs, bears and rats are naturally susceptible to trichinosis, and so are seals. Trichinosis was recently found in Arctic seals and walrus, and people caught trichinosis from eating them. Atlantic Canadian seal meat should really, therefore, be checked for trichinosis. 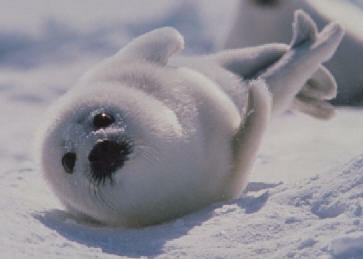 But this is not being done, because seal meat is handled as if it was fish. People who eat undercooked seal meat might catch another parasitic disease, toxoplasmosis. Most people will not become very ill from this one, but it can cause severe birth defects in unborn babies if pregnant women ingest this parasite. The government scientists who found the seal diseases must have been dismayed at their findings. They must have realized that more bad news is the last thing needed by our fishing industry, now with hopes pinned on expanded sales of seals for human consumption. But still, the public and the fishermen should have been warned. A more detailed report on this issue can be found at: www.fisherycrisis.com/seals/seal%20products.htm. Debbie MacKenzie, director of the Grey Seal Conservation Society (GSCS), is a former Nova Scotia public health nurse and is an independent ocean health researcher. See also: Letter to Mr. Strahl "Minister responsible for the safety of seal products"